There are less than 7 weeks until Christmas, which means families across Australia will soon be putting up decorations, hitting the shops for gifts and filling the cupboards with festive treats – some will have started already! 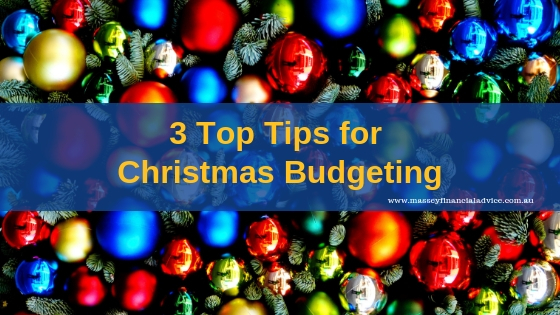 It can be hard to manage and keep track of your expenses when Christmas is creeping closer and closer and we are all trying to juggle end of year parties and get-togethers with family, friends and other parents at school. I was recently reading an article about the post-Christmas debt hangover and a new forecast of Reserve Bank of Australia (RBA) data analysed by finder.com.au reveals the nation likely borrowed $28 billion on credit cards in December 2016. Christmas purchases of $9.8 billion were predicted on gifts alone. The analysis reveals the average amount owed after the holiday season is $1,666 per credit card across Australia. SOURCE How many credit cards do you have? However you look at it, Christmas is a pricey time of year. If the expense causes stress then the holiday period is ruined. Here are some tips to prepare for, and enjoy Christmas. Santa is always well prepared and does his shopping on time, so why don’t you? 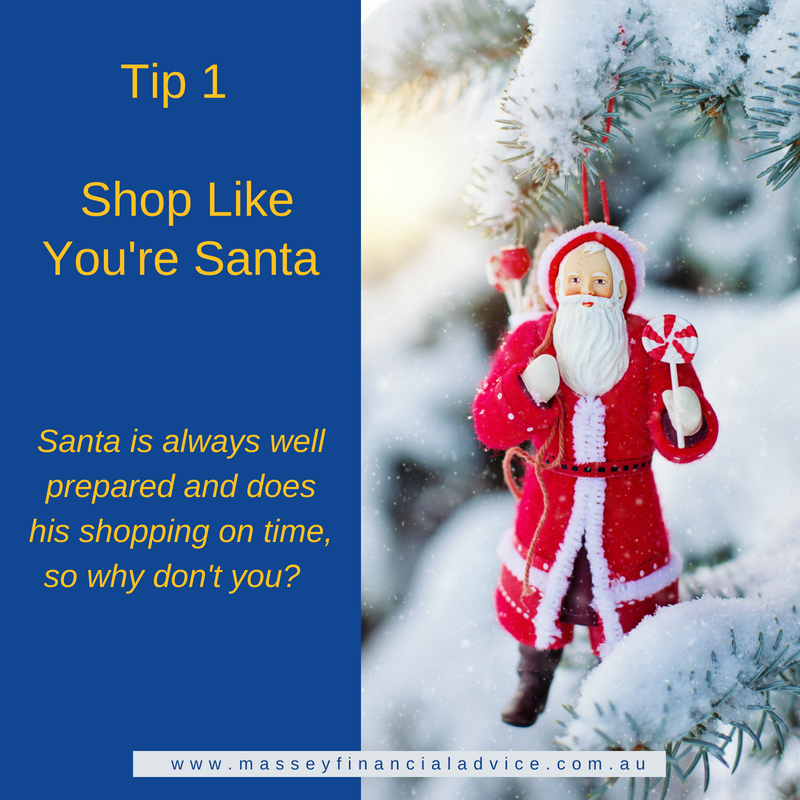 If you are shopping in store this year there are some rules-of-thumb that will help reduce Christmas shopping stress and limit the temptation to over spend. A lot of stores now offer extended trading hours closer to Christmas. This makes late night shopping perfect so that you can choose carefully as it is less crowded and you don’t have to jostle for space. When shopping in store it is wise to set a time limit and also limit your shopping locations. Only go to the shops you need to visit and get in, get it done and get out so that you are not tempted to spend more or impulse buy. Santa also does his research – ever heard of the naughty and nice list? Before you visit the shops, check out the prices online as there are often differences between stores for exactly the same item. If you can, with a little planning, take advantage of the pre-Christmas sales – if you know what gifts you are looking for and they go on sale, buy them. If you buy online, check if there’s an option to pick up in store. By doing this you can save on delivery, skip any lines and there is less temptation to buy more. Gift-giving can be expensive, especially if you have a large family in which everyone expects a present. There’s a lot of pressure to spend up big on gifts at this time of year, but pricey presents aren’t necessarily the way to go. 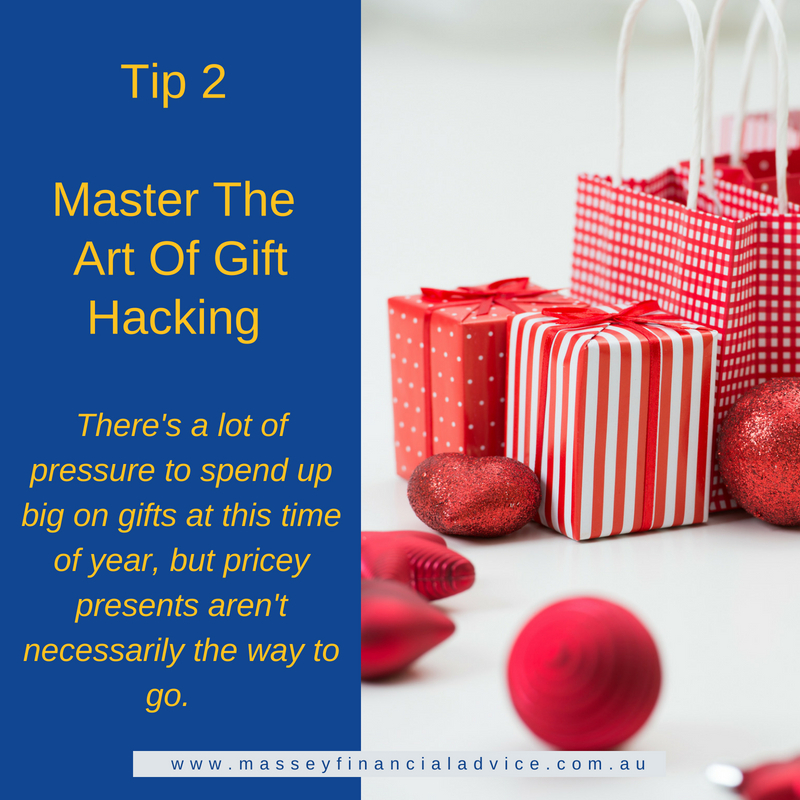 A strategy you could look to adopt to keep spending on gifts under control is to suggest to your loved ones to set a limit on how much you will spend on gifts for each other. Another idea is to talk to the other adults in your extended family about only buying presents for the children rather than for the adults. Or you could organise a family Secret Santa where each adult buys a gift for one other adult in the family – this could be done anonymously if you choose. Not all gifts need be expensive. Handmade items or vouchers for massages, home-cooked meals, gardening, or home repair work are both thoughtful and cost-effective. 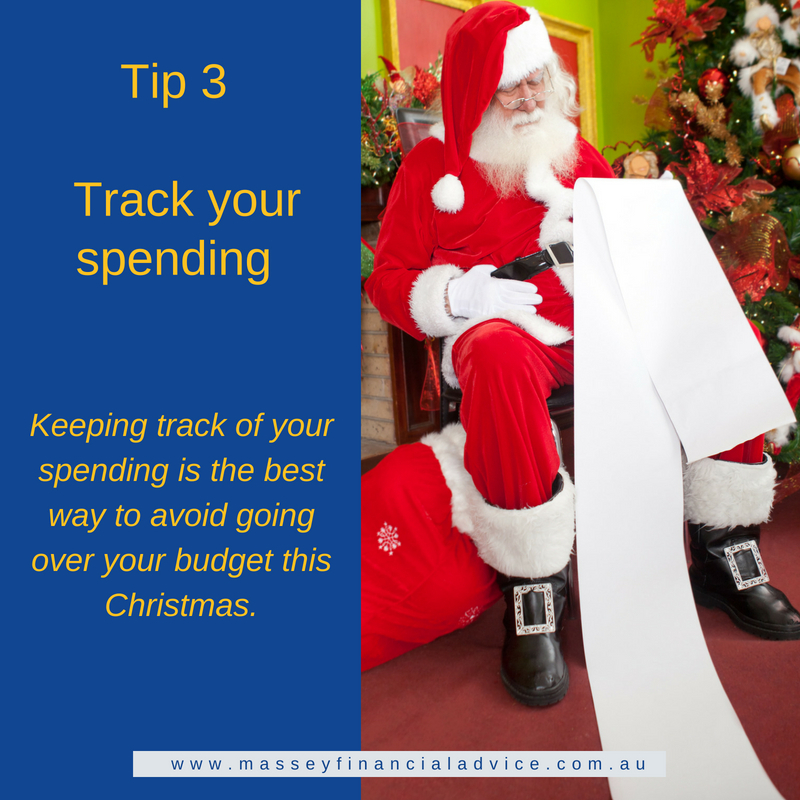 While this tip may seem like an obvious one, keeping track of your spending is the best way to avoid going over your budget this Christmas. The best place to start is to nominate a spending limit for the different types of Christmas expenses. Be realistic and even pessimistic. If you over-prepare then you’ll end up with a surplus, which is a great result. It is also important to remember to allow for the festive season’s parties, events and social occasions, and the extra costs these can entail, such as taxis and incidental gifts. Australians love gift cards and vouchers, but too many of us let them expire before we use them. Check the expiry date on any gift cards you still have credit on, and consider putting this money towards your Christmas costs. Every dollar of gift card credit you use means you’re spending one less dollar of your own money. Every little bit helps! If you are giving a gift card, look for one with a long or no expiry date. Above all, Christmas is about enjoying a break and celebrating with family, not about how much you spend. Remember the true spirit of Christmas, relax and enjoy! I am a Brisbane-based Financial Adviser with more than 14 years of experience working with professionals to achieve financial freedom. I have clients in Brisbane, Ashgrove, The Gap, Kenmore and Chapel Hill. Sometimes people don’t really understand their financial situation – whether that be their personal cash flow, wealth creation or retirement plan. And this puts their lifestyle at risk. I partner with professionals so that they feel empowered to make the best financial choices for them, their family and their career. The first step is to book a cost and obligation free Financial Gap Strategy Session by clicking the link below. This is a phone call at a time that suits you to discuss what you are working to achieve and find out whether I can help. If you would care to share your experience with me, please comment below! Discover where the gaps are in your current financial situation so you can ensure a secure future.